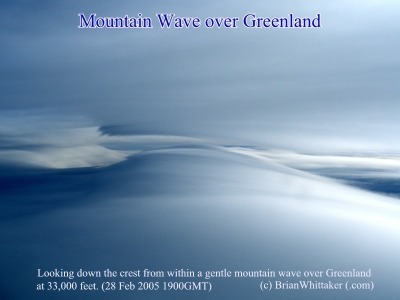 Looking down the crest of a gentle Mountain Wave, from within the Mountain Wave. 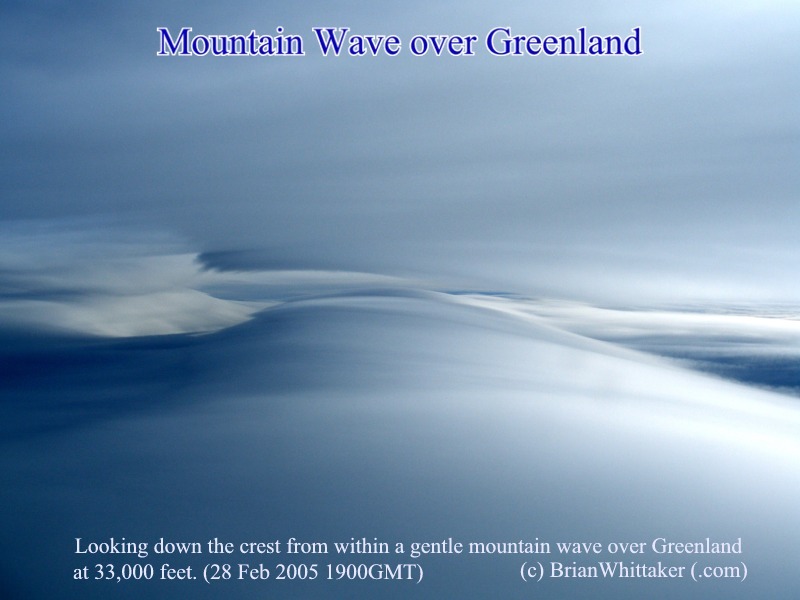 This cold Arctic air has a minor wave in it as it goes over the large mountains of Greenland. Airborne photo from 33,000 feet. 1900GMT 28 February 2005. [800x600].